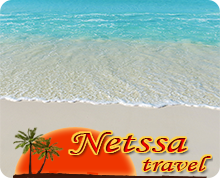 As an alternative, we offer you the possibility to send your request directly to Cuba travel specialists. 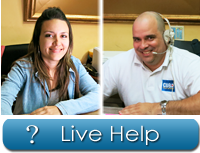 You can contact our agent for any inquiries regarding traveling to Cuba. We are pleased to offer discounted low rates on hotels in Havana. Location: Miramar Playa, sea front seating on the Havana shore. 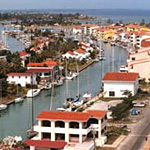 Bungalow complex in the heart of Miramar at the small private beach with marine sports. GYM, Sauna and Jacuzzi. Near shopping centre, has very long swimming pool, Night Club and Diving Center. Location: Jibacoa beach 64 km from Havana, 57 km from Varadero. 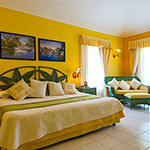 All-inclusive, paradise retreat at unspoiled setting on clean and calm sea, on the tropical long beach. Offers very large swimming pool and cofort. 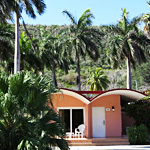 Nestled in a beautiful bay with lush green hills protecting the invitingly white sandy beaches. All-Inclusive Beach Resort on Jibacoa, very friendly staff. 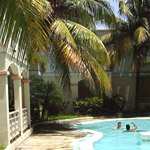 Location: Tropical scenery on the beach, 78 km from airport Havana. 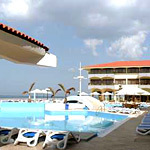 All-inclusive Hotel, between mountains and the beautiful beach, ideal to rest and to enjoy the nature. Offer very friendly service, the coralline barrier allows to practice snorkeling & diving, large swimming pool. All Inclusive Havana Beach Resort near Havana. 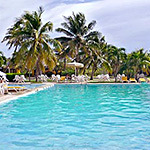 Location: Santa Maria del Mar east beaches, 20 min from Havana. 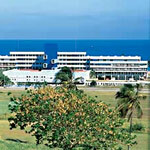 All-inclusive beach resort on the long white sandy beach, offer opportunity to discover the charming colonial Old Havana. Shuttle Bus service to Old Havana. Entire Villa, house accommodation on the beach. Location: eastern Santa Maria del Mar beach, 20 min from Havana. 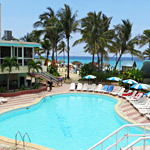 Havana's eastern beach, on white sandy beaches, swimming pool. 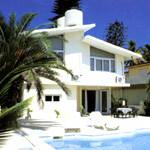 Villa-House with two rooms or three bedrooms spacious houses at the beach, with private swimming pool. Shuttle Bus to Havana. Location: in Miramar Playa, open to the sea right on the Atlantic. Quiet city location, with the possibility to combine Havana city, with the practice of Scuba Diving and enjoy visit to National Aquarium. 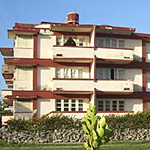 Has very comfortable rooms and natural ocean swimming pool. Location: Marina Hemingway, International Yacht Club. Hotel comprises an entire complex of stores, restaurants, bars, a shopping center, disco, docks for yachts, International Diving Center. Pools fresh water and sea salted water. Swimming and Sea fishing. Free Shuttle Bus service to Havana center and Old Havana. Location: on coast next to a small beach, 15 min east from Havana. Favourite of swimming buffs, offer sunning and swimming, plus many other recreational activities. Good location for groups as there's lots of room for playing volleyball, basketball. Cabaret offer good Cuban music. All Inclusive Havana beach hotel, right on the beach. Location: on Santa Maria del Mar beach, 20 min east from Havana. All-inclusive hotel, overlooking the sandy beach of Santa Maria del Mar. Turquoise blue water and fine white sand, an idyllic tropical Caribbean setting, surrounded by tropical gardens, swimming pool. Surrounded by coconut palms and tropical vegetation, this aparthotel is a good option to endulge yourself with pleasures of the sea, and practice outdoor sports. Comfortable hotel, friendly and hospitable. Shuttle bus to Old Havana.